(Veterans Day 2015) – To recognize the end of the major hostilities at the eleventh hour of November 11th, 1918 that ended World War I, Armistice Day became a national holiday to remember the veterans of that Great War. After World War II, the holiday evolved to become Veterans Days to honor the veterans of all American wars. My grandfather was only aged one when the Great War ended and decades later would serve in the Second World War liberating concentration camps in Nazi Germany. Nearly fifteen years after his passing, his name is forever embodied with other Rhode Islanders whom had served in the military of the United States, at the Combat Infantryman Badge Memorial. There is also a trail that the University of Rhode Island Master Gardeners Club has built over the course of several years around the perimeter of the cemetery. The trail is never very far from any of the cemetery roads and comes out to several of the memorial monuments along the edge of the cemetery. For this walk, I followed the entire Woodland Trail using the map provided (see below) and then did some wandering around the cemetery visiting most of the monuments. Being Veterans Day, there were services at some of the various monuments and many folks were visiting with loved ones lost. 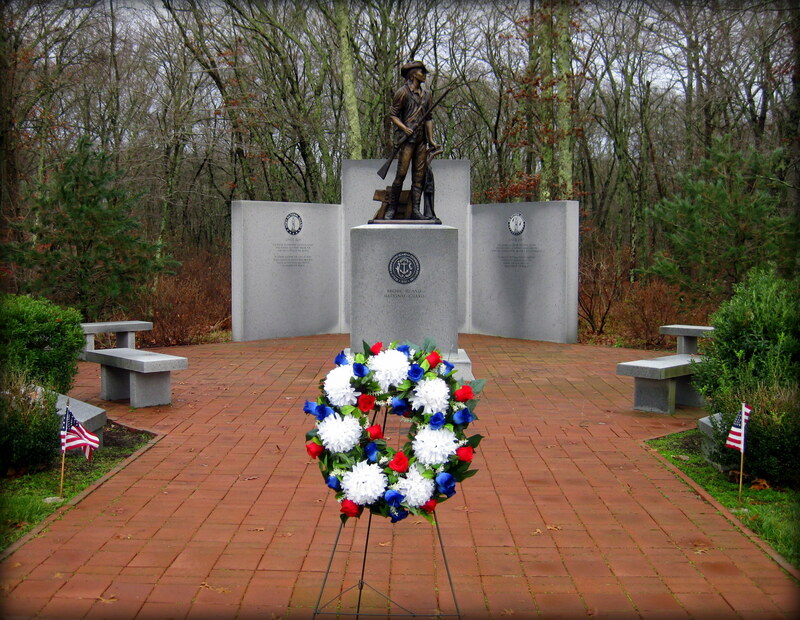 Trail map can be found at: Rhode Island Veterans Memorial Cemetery. Additional photos can be viewed at the Trails and Walks Facebook page.